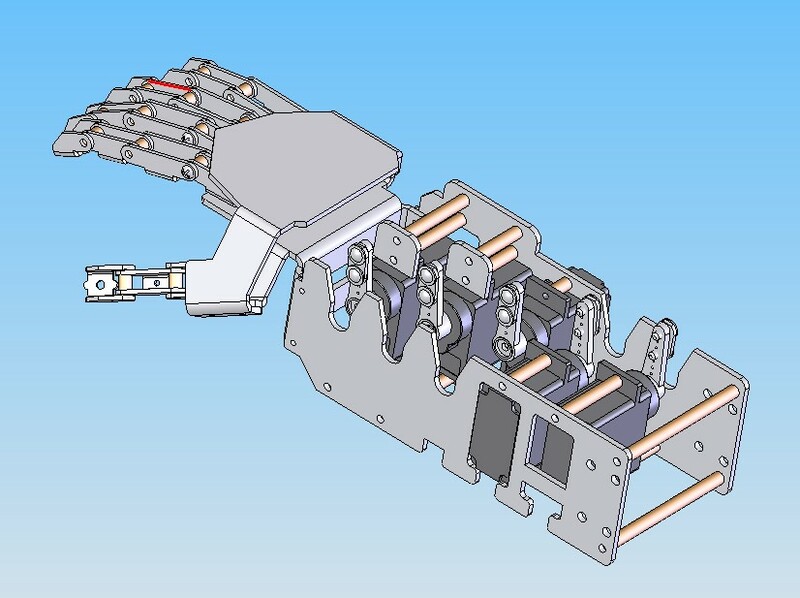 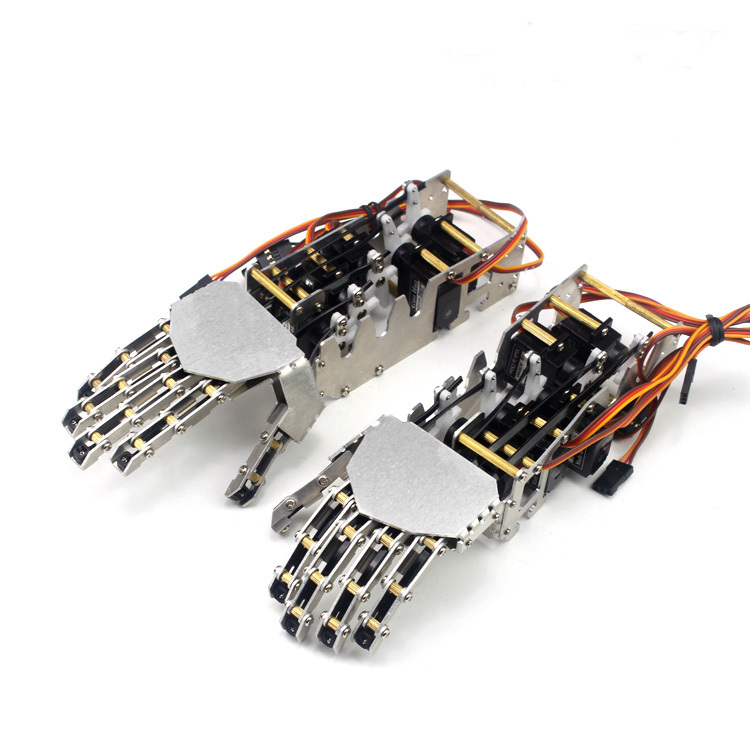 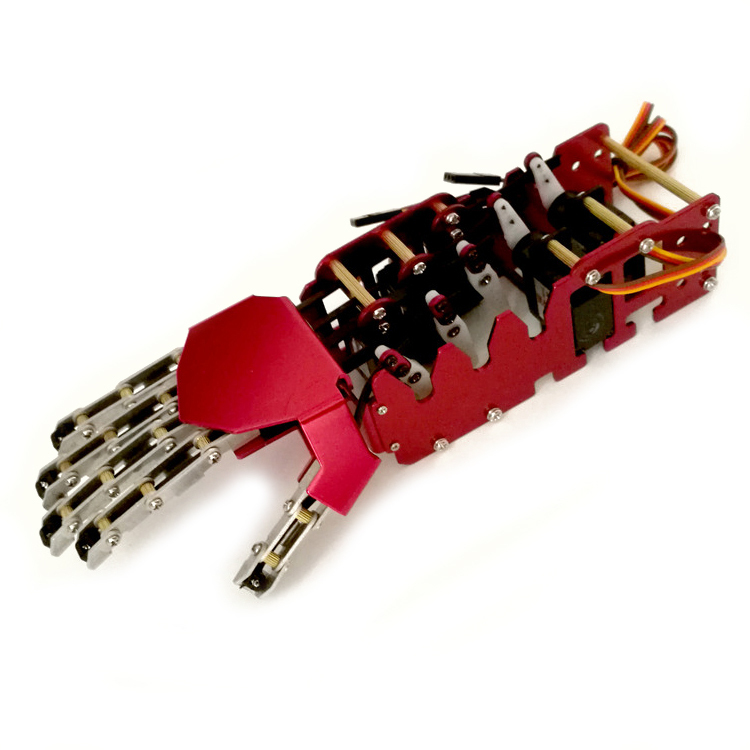 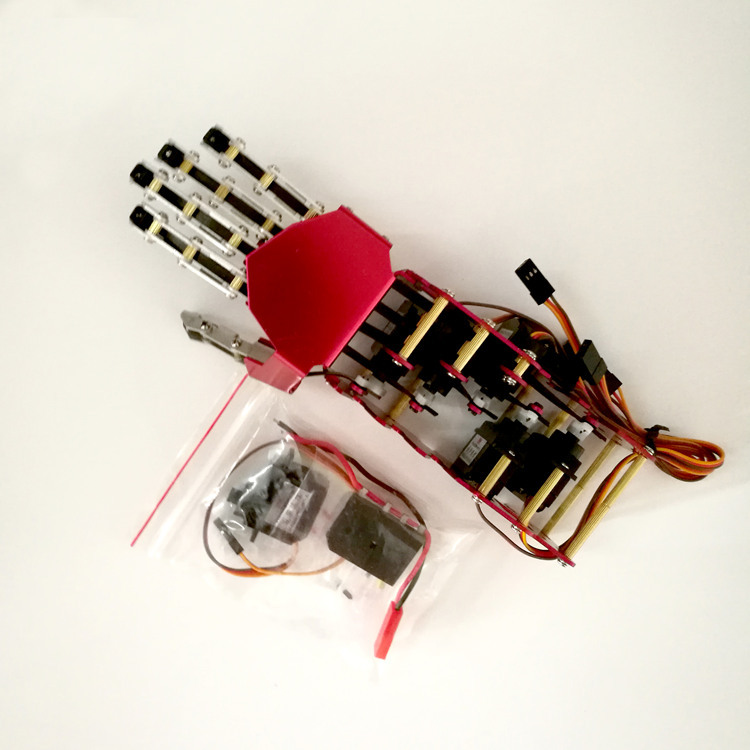 It used 5 servos to drive, each finger can move flexible. 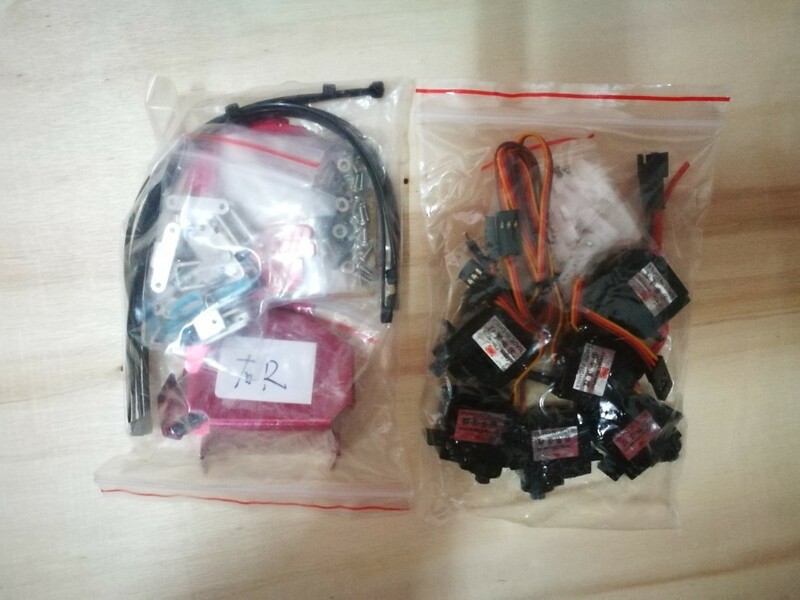 Beware of steering gear locked-rotor.The micro servo working voltage 5-6V,if you use 7.4V battery must buck power supply. 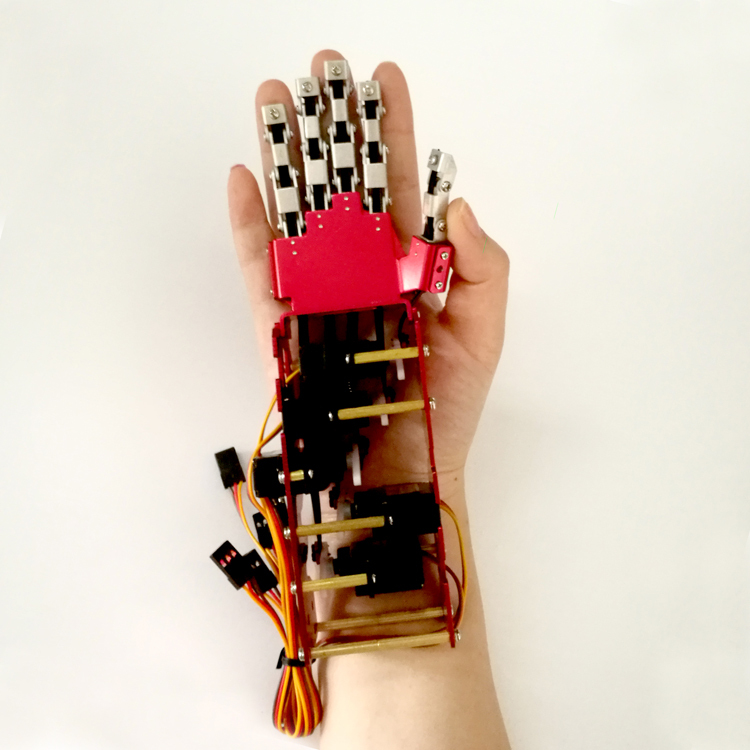 Installation requires some patience and hands-on ability.Like playing with blocks, no pressure.Please leave your email or ask on-line for the installation instruction. 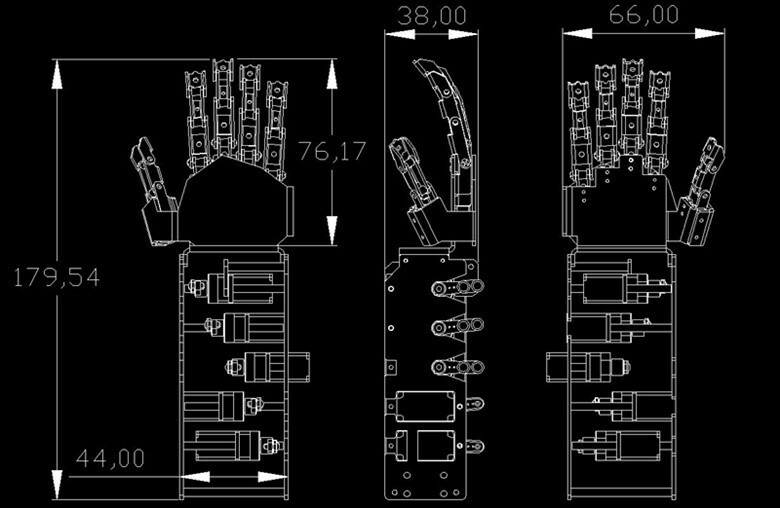 The default send red clour, if you want sliver clour please let us know, thank you.